Our company is known in lower mainland of BC for over 70 years. We offer wide variety of custom fabricated products in wrought iron, stainless steel, aluminum and glass. All Out Contracting offers its services as a General Contractor for renovations to existing homes or building brand new houses. Let us take all the headaches away from you to get all your renovations and/or building done using all licsened and experienced tradesmen, so you know it will be done the right way the first time! At Batista's European Railings we do one thing: we create customized railings, with unsurpassed workmanship, our commitment to customer service that will impress you. Any kind of railing you can imagine, our master European craftsmen will deliver first-class product in a rainbow of colours to suit any architectural style. In fact, if you judge us by our clients, then we're in good company. Our work is done for top contractors, residential customers and apartment buildings. Most importantly, we build all our railing to code to ensure your peace of mind. With over 40 years of experience, Batista's European Railings is family-owned and operated. We are an outdoor contractor specializing in custom cedar fencing and Sundecks. 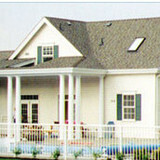 Fences and Decks are our specialty A fence should not be something that is replaced every ten years. A fence that is custom built or built to suit your property will inevitably last far longer than those that are manufactured or pre built and bought at the local home center. Fences, decks, sheds and many other outdoor projects are not meant to be stapled together. Using galvanized nails and coated (green or brown) screws is the key to a long lasting product. Our philosophy is simple To be the best we can be in servicing your needs. We believe that our customers come first; it is not just a cliché but a commitment we make to all our past and future customers. We always deliver you a product that you can be proud of and show our appreciation for our customers in the workmanship and quality. Residential as well as commercial We specialized in providing a quality product to a small residential customer, strata, property manager, design professionals, freelancers and so on. Our commitment is to quality not quantity. About us Our team of experienced professionals are experts in what they do and know how to effectively apply their skills, workmanship and customer service excellence to assist you with your needs. Our knowledgeable staff is dependable, reliability and excel at offering personal service to all our customers. Most importantly our crew loves what they do and appreciate using the finest quality lumber, modern building practices and tools available. The BC Cedar Fencing and Deck Company is your solution to a new cedar fence, deck or custom cedar works. We specialize in new residential cedar fencing and deck installations, gates, fence repairs and custom cedar works. At the BC Cedar Fencing and Deck Company we offer prompt, fast service to our clients who are in need of a new fence or deck. If you request an estimate on-line we will respond by telephone within 30 minutes of your request. In most cases we can provide you an estimate within 24 hours and begin work within 7 days. The BC Cedar Fencing and Deck Company offers a 1 year workmanship warranty on all new residential fence installations. We keep a very simple approach to fencing, providing you with a written on-site estimate, easy product selections, our work is always completed on time and as stated in our written estimate. Have Your Next Project With Us. BUILD - REPAIR - FINISH AND INSTALL We offer reasonable rates, with a goal to provide an easy renovation experience. We warranty our work and offer a satisfaction guarantee. 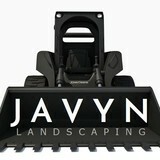 Free Estimates and consultations New Construction, renovations and additions. Decks, carports and Framing. If you are interested in having us work with you on your next project feel free to Call us at 604-561-8090. We do jobs that fit any budget. AIM Cedar Works Ltd. is a well established wholesale manufacturer of quality fence panels, and privacy screens. Our products can be found at large contractor outlets and retail stores. We are a small, professional and reliable crew that will work within your constraints staying on the job completed until your satisfaction. Your Nanaimo, BC fence installation and repair professional will work with you to create your ideal fence. Find a fence contractor in Nanaimo, BC on Houzz. Narrow your search in the Professionals section of the website to Nanaimo, BC fence contractors. You can also look through Nanaimo, BC photos to find examples of fencing and gates that you like, then contact the professional who worked on them.